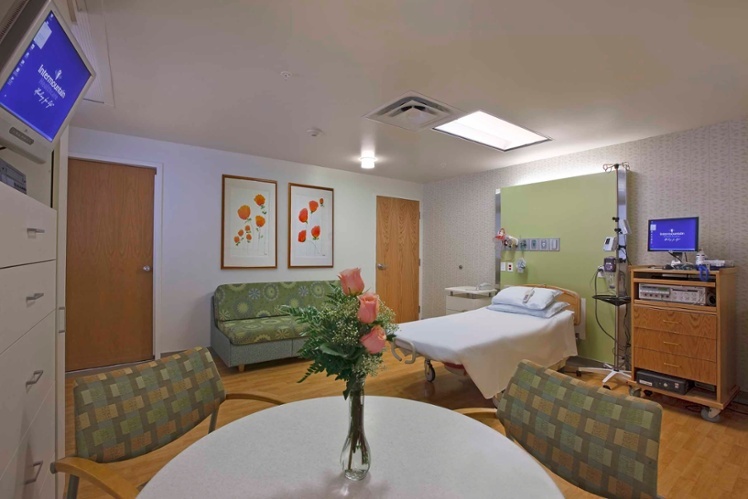 One of the characteristics of an integrated hospital space is that it be vibrant and alive. This isn’t just referring to color selection, although that is certainly important. But just as important is the link to nature that involves the ever-changing current we see throughout the year. Since 2003, I have been involved as a Feng Shui consultant on design teams, building committees and planning committees of a local hospital. Depending on what project was happening, I became part of the appropriate committee. As a result, this required regular site visits. I noticed that each time I went to the hospital there was art installed in every hall, conference room, and waiting area—-either on the wall or in special art niches. But more surprising is that a month or so later when I would return, the art would be different. At times I’d be captivated by some textile work hung on the walls; sometimes the metal sculptures would touch sometime deep inside. Other times I just didn’t care for the style and would move on. I knew that in another month or two there would be something different for me look at. This is an example of true integrative space: a familiar structure offers compelling change on a regular basis. In a different scenario, I’ve witnessed clients who have a winter furniture arrangement in their home and a summer one, a warm-weather bedroom décor and a cold weather one. Change is happening within the context of their home—-in this case marking the passing of seasons. The same experience is happening at Hudson Hospital in Hudson, WI. The artwork that they displayed was giving spectators (patients primarily, but also visitors and hospital staff) a chance to engage with something new without the disorientation that can happen when everything is new. And, if the spectator didn’t like what was currently displayed, they knew in a short while the artwork would be different so there was no need for any kind of dramatic engagement. Is there a way for this to happen in every medical facility? Where the changes to the space mirrored changes in a patient’s life? What if waiting room furniture was moved around in different configurations? What if plants were positioned in new places? What if seasonal décor was integrated at the appropriate time? There’s no argument that someone needs to oversee a project like this. In fact, there is a part-time curator at Hudson Hospital who manages the new art installations every three months. The point, however, is that an important message about balance in life and inevitable change can positively impact a person’s health. Observing controlled change can subconsciously provide reassurance at a time when a patient may feel like their life has NO control. I doubt anyone would argue that any kind of positive implication about well-being is appropriate in a medical center. Change within the context of permanence keeps a space interesting, involved, and remarkable. And it transmits the message that we all go through change, but in the end, we’re still whole. That’s what an effective integrative space does.